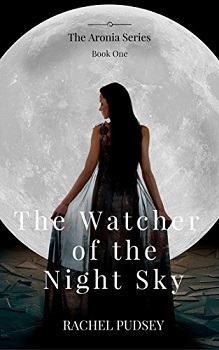 Mixing fantasy and romance, The Watcher of the Night Sky begins the tale of one girl’s quest to rid herself of a curse that was definitely far more than she wished for. Revised edition: This edition of The Watcher of the Night Sky includes editorial revisions. The Watcher of the Night Sky isn’t your typical YA novel and that’s what attracted me to it. It is weird, it is magical(-ish) and it reminds me of Shrek. However, my opinion is a conflicted one. The book begins with a clichè – a plain, ordinary girl who is liked by nobody and who has a beauty of a bestie. Abigail (Abi) makes a wish to the stars before her 16th birthday and voilà! Seven boys of different social statuses appear at her door confessing their love to her. Now, this would probably freak me out just like it freaks her out. I like how the author has made her reaction realistic and I also liked how her best friend decided to help her. However, I found it a little weird how quickly she believed her because the wishing on stars for the people in the book is something like a bed-time story. Furthermore, I couldn’t remember any of the boy’s names or their titles, I couldn’t really differentiate them except for the rhyming one because he was pretty obvious. It really reminds me of Shrek to a point. It just looks like some kind of a parody and I don’t know whether to find it funny or not. While the writing is pretty light and enjoyable, it is also annoying and too descriptive of insignificant things in my opinion. Indeed, when authors put together so many clichès the end results are always kind of funny and infuriating at the same time. That’s why I gave it a 2.5-star rating, because it’s in the middle just like my opinion. Furthermore, while I can’t really say that I disliked the book, I can’t actually say how much I enjoyed it. It turned out to be written in a way my 13-year-old self would have enjoyed much better. In the beginning, there was this thing with womanhood and how girls who get into puberty start noticing boys and some other nonsense where I just felt offended because of the way it was written in. (I also found it offensive to the main character as well since she isn’t interested in boys or at least not at first.) If I were older, I probably wouldn’t have found it so offensive. It was so generalising. There was also some unrealistic speech which contributes to my comparison with Shrek, it is the way I’d imagine people in a parody of fairy tales would talk like. Furthermore, there is also the case with the world it’s set in. At first, I thought that it was set in a small town in our world that doesn’t exist, but then I realised that this was a whole new world but it’s never explained. While I like stories that are focused on the characters, I do believe when you introduce the reader to a new world, you have to explain some things because I’ve no idea where the princes are from and what it means to be royalty in this world. And while it isn’t high fantasy, that doesn’t mean that it shouldn’t be explained. The Watcher of the Night Sky is also quite predictable, but it is still enjoyable, especially if the reader is somebody younger than 17 or likes middle-grade to children’s stories, because I wouldn’t really label this as YA. However, I have read a lot of adult fantasy novels and I’m used to older characters. One of the good things is that I was able to watch Abigail grow as a character. I like some good character development and I believe that I found it here. While I don’t really have much to say about her, I did enjoy reading her story and most of the romantic scenes were pretty sweet and lovely. The end of the book, however, almost completely changed my opinion about it. First of all, it ends with a hell of a cliff-hanger – I like that! It makes me want to read more! And second of all, it finally shifted into something that I might enjoy more (insert devilish laugh). Rachel has been writing stories since as long as she can remember. An obsession with Point Horror books led to her first novel being written at the age of ten. Truth be told, it wasn’t very good. 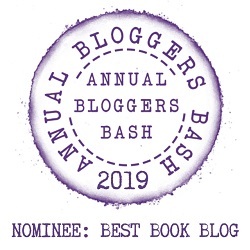 The following years were spent writing, dreaming, reading thrillers, romantic comedies, fantasies, occasionally playing guitar, and dabbling in song writing. Oh no – I despise cliffhangers! I’m so sad you didn’t like it! I don’t mind cliffhangers, and I like YA novels. Plus that cover is gorgeous. But if it fell flat for you, I probably won’t waste my time. This sounds intriguing. And I am really liking the cover 🙂 Putting it on my list to check out later.